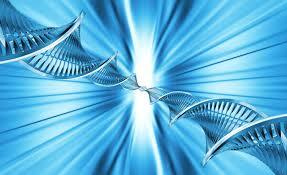 Now you can understand your DNA with this new service at MindBody Medicine Center. MethylGenetic Nutrition Analysis is a ground-breaking web-based software program to educate you on how genetic information can improve your health. The program is taking functional medicine and health care into a new paradigm, and finding answers not available before. Extensive research has shown that the root cause of most illness is inflammation, usually due to the presence of free radicals and oxidative stress. The most potent free radicals are superoxide and peroxynitrite, both of which are naturally produced by oxygen in the process of aerobic metabolism. To compensate for these free radicals, your body makes antioxidants, such as superoxide dismutase, catalase and glutathione, and uses folate to rebuild and repair damaged cells. But your inherited genetic issues may inhibit you from making enough antioxidants, cause you to produce too many oxidants, and suppress your ability to create enough folate for cell repair, which can cause cellular damage and inflammation, leading to slower rebuilding and repair of cells and ultimately faster aging and more optimal conditions for disease. Also, histamine, glutamate and ammonia can produce disturbing symptoms, as well as damage cellular health and contribute to many disease processes. Thanks to new advances in technology, a simple saliva test today can measure 602,000 pieces of your DNA. This is an important development because everyone has some level of genetic variation in their DNA, even though it was once thought to be a rare occurrence. Because variants can impact your ability to make and use different nutrients critical for circulatory, immune and even emotional health, everyone is susceptible, in their own unique way, to potential health implications. Why do these variations occur? Genes are passed from parent to child—one copy from the mother and one copy from the father—with each cell containing a set of genetic instructions. When an existing cell divides to make a new cell, it copies its set of genetic instructions. However, sometimes these instructions are copied incorrectly, like a typo, which leads to variations in the DNA sequence. This is called a single nucleotide polymorphism or SNP (pronounced “snip”). Most SNPs do not cause any observable differences. But the location and total number of SNPs a person has may influence their susceptibility to disease or impact how they react to certain drugs or even specific foods. When in balance, these enzymes can control free radicals, keep your cells healthy, and rebuild new cells effectively. Thus, you may look and feel younger and remain healthy and vibrant as you age. You’re never too young or old to optimize your nutritional and antioxidant status. To better understand how your DNA impacts your health, watch the introductory video at www.GetToKnowYourDNA.com. And call us at MindBody Medicine Center if you want to use MethylGenetic Nutrition Analysis to improve your health and well-being.